The Story: Set against the background of a brutal crime gang in Brussels, a tragic love story between Gigi, a high-flying gangster, and Bibi, a young racing driver with very upper-class roots. A few years ago Michaël R. Roskam directed a crime thriller called The Drop which received a lot of praise for its deliberately paced story that featured a top notch performance from Tom Hardy. I figured this movie would be fairly similar with maybe a bit more action given the racing aspect and a more high end and glossy look to it. In the first act, Roskam delivered on this expectation with a solid setup and two dashingly smart performances from Matthias Schoenaerts and Adèle Exarchopoulos in the lead roles of the Jailbird and the Racer respectively. Unfortunately, the second and third acts could not keep up with the promises laid out at the beginning and the story slowly fizzles out and leads to an ending that left me underwhelmed. While the actors kept things revved up with some great chemistry, the story shifts gears to lower rpm's and eventually runs out of gas before crossing the finish line. I just feel like this movie could have been so much more than what the end result turned out to be but it's still worth checking out thanks to the two leads. 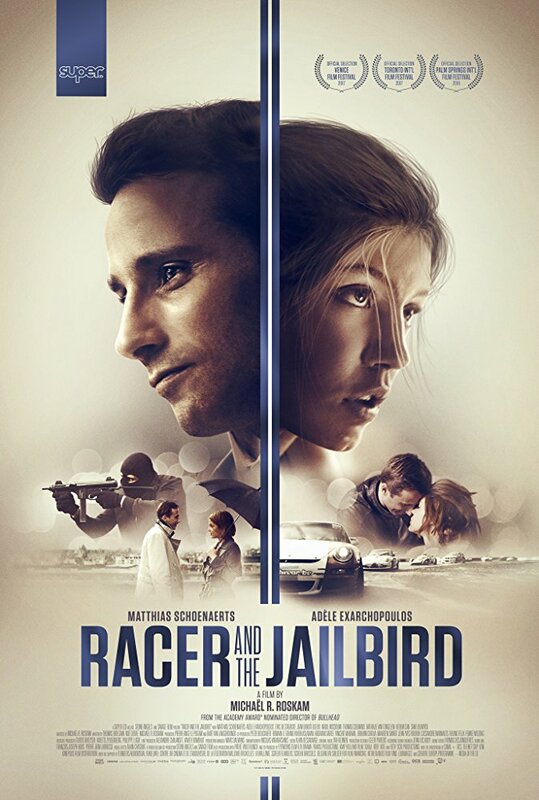 Racer and the Jailbird is an official selection of the 2018 Seattle International Film Festival.